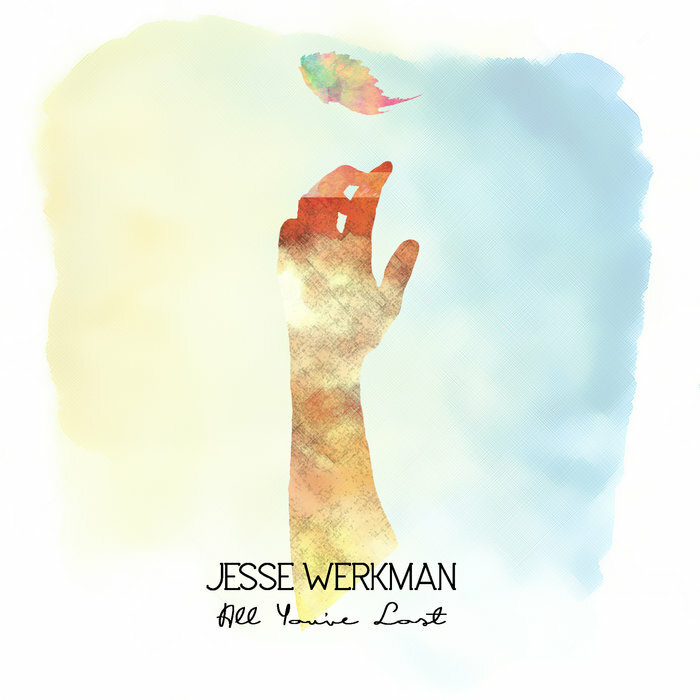 Unlike a lot of other cover art out there, the cover of Jesse Werkman’s All You’ve Lost EP does well to reveal the contents within. The light brushstrokes of the watercolour background mirrors the light reverb of Werkman’s vocals and the gentle electronic elements that sweep along the EP’s own background. Its muted colours match those of Werkman’s heart, a part of him that he has no qualms about sharing. And the hand, disjointed, curled in an effort to grasp at something that remains too far away, summarizes the disheartened spirit of the EP as a whole. These emotions that Werkman paints in his EP are potent. The Edmonton songwriter curls his electro-folk soundscape around his soulful and fragile stories of love and loss. The love here though is one-sided, only Werkman and his emotions are in focus while the counterpart remains unseen and unnamed amongst the shroud of instrumentals. “Snow,” with its very subtle twinkling backdrop, centres on the personal (“I fall with the stones you’re throwing”) before residing to be completely “lost in these moments.” Closer “Circles” is of similar company, weaving a blanket of various guitar and vocal sections to form a poignant and self-reflective track. EP highlight, and the strongest showing of Werkman’s dynamic vocals, “Take My Heart” begins with delicately picked guitar, before its own mighty heart (the percussion section) encourages it to swell into a lush track. This sprawling quality of “Take My Heart” is mirrored in the title track as Werkman tries to grapple with his loss and regret amongst a soulful soundscapes. Like all of All You’ve Lost though, Werkman seems comfortable to stay under his warm sonic layers rather than face his demons.